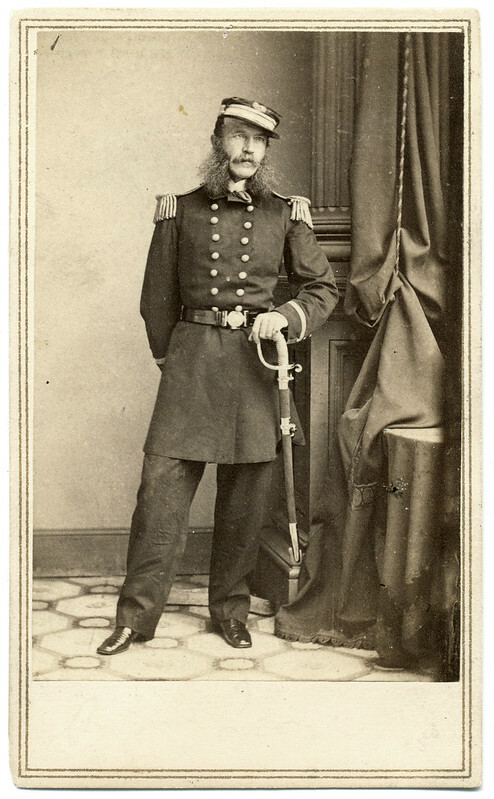 Navy secretary Gideon Welles fretted about the safety of California after the outbreak of war in 1861. 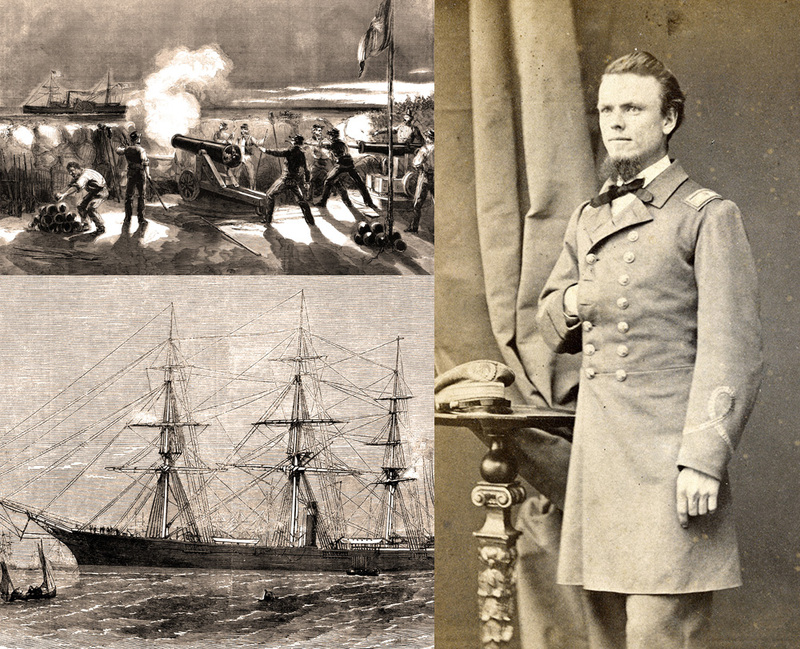 The threat of rebel privateers preying upon mail steamers loaded with treasure and secessionists seeking to take the southern part of the state was real. Welles had but six vessels in the Pacific Squadron to patrol an immense area. Montgomery asked Welles for four additional steamers. In the meantime, Montgomery assigned the ships at his disposal to cover critical areas. He dispatched one of his most reliable vessels, the Narragansett, to a 400-mile stretch of Mexican coast from Acapulco Bay to Manzanillo. The Narragansett, a screw-propeller sloop that had joined the Pacific fleet a year earlier after a stint in the Atlantic Ocean, was armed with five guns. 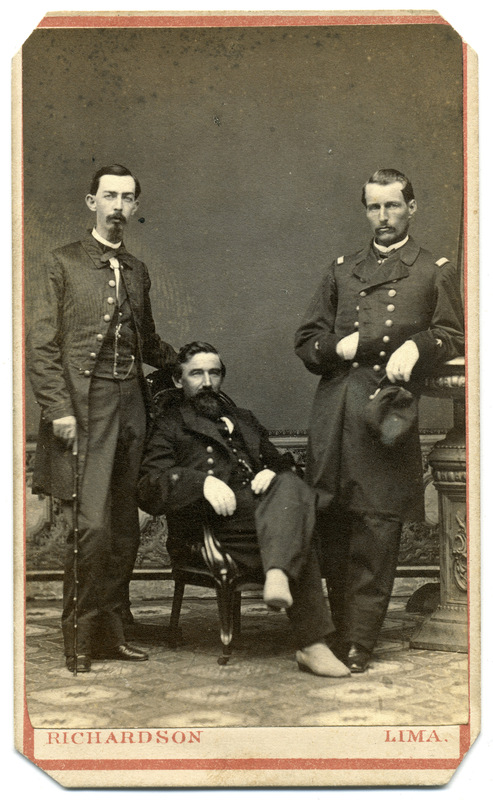 Her crew of 50 men and officers included John Sullivan, pictured her, center, a career navy man known for honesty and integrity. Read the rest of Sullivan’s story. The rebels raised their flag and replied with a barrage from their big guns. They kept up a rapid fire into the afternoon. 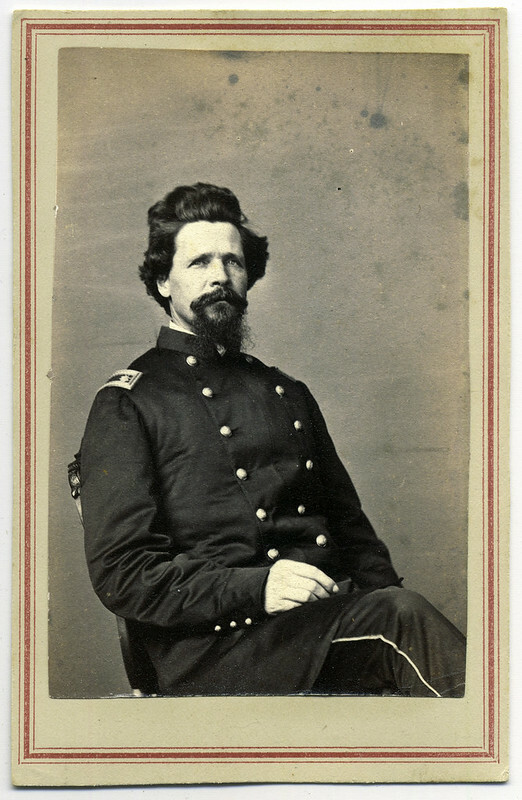 At some point during the action, the federals observed a small launch anchored in front of the battery. 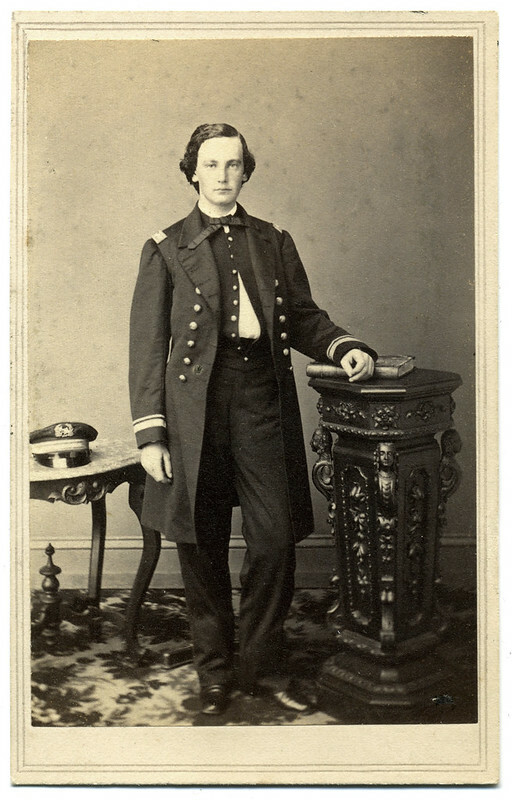 Midshipman McGlensey ordered the Murray in and captured the craft. The bold move drew fire from the Freestone battery, but the crew of the Murray managed to secure the launch and tow it away. “She accomplished it without any injury to herself or those on board,” noted Lt. McCrea. Read the rest of McGlensey’s story. 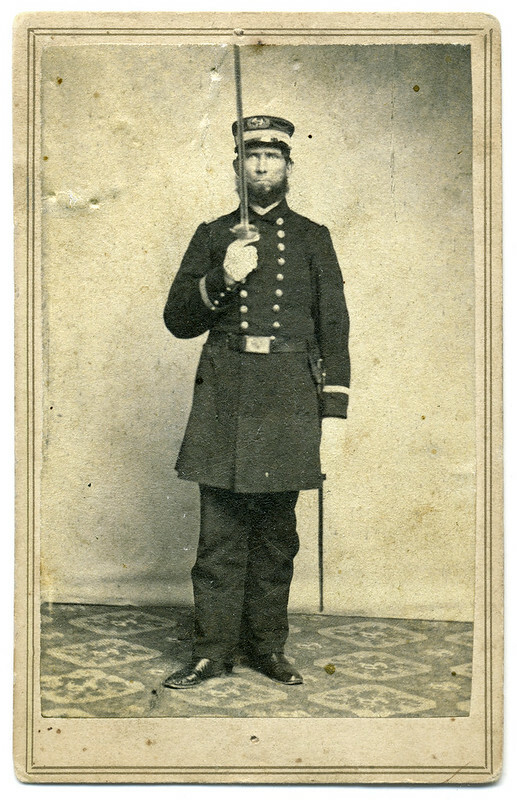 Lt. John F. McGlensey, a Pennsylvania-born, 1860 graduate of the U.S. Naval Academy, started the Civil War on duty at the Washington Navy Yard. 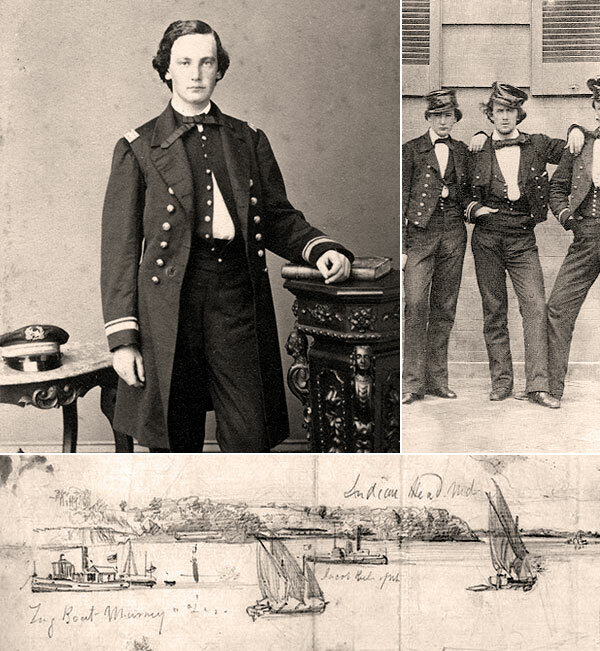 Later in 1861, he joined the South Atlantic Blockading Squadron. 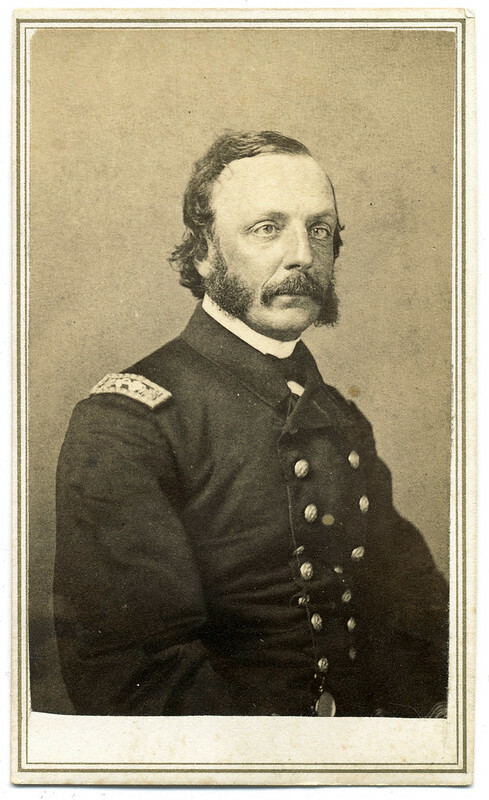 In this capacity he participated in the capture of Port Royal, S.C., on November 7, 1861. The engagement was one of the earliest Union amphibious operations. 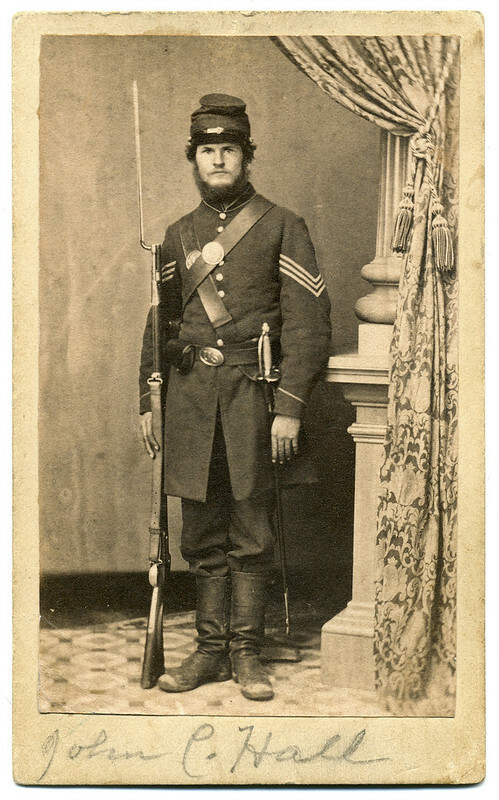 He survived the war and remained in the navy until his retirement in 1893. 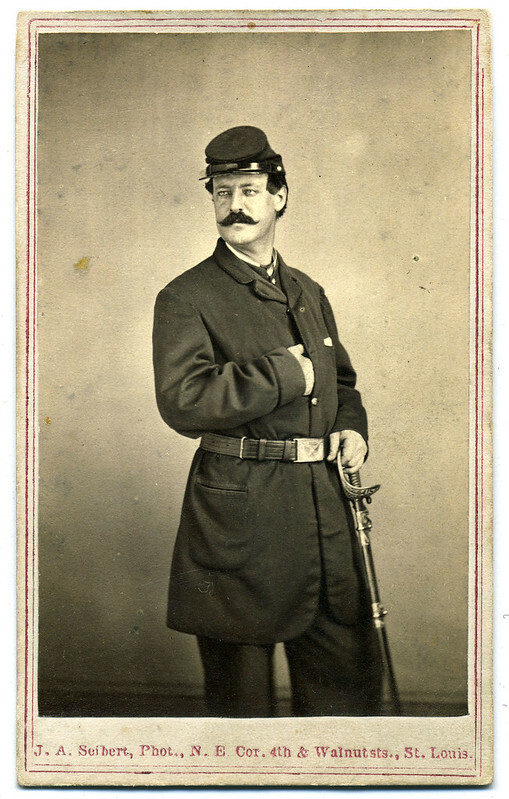 He died in Washington, D.C., three years later.